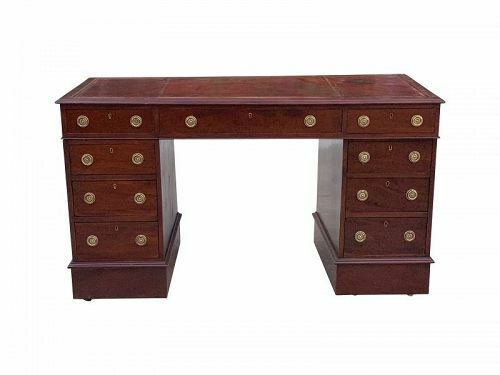 Louis XVI Mahogany Ladies Desk, Circa 1785. 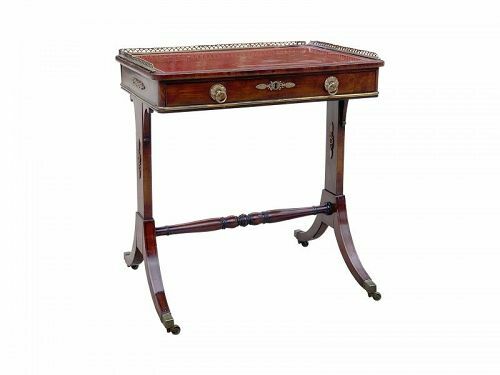 Choice writing desk, plum pudding mahogany and small size, 25.5" wide, 14" wide, 41" high, having pair of glazed doors and writing flap. 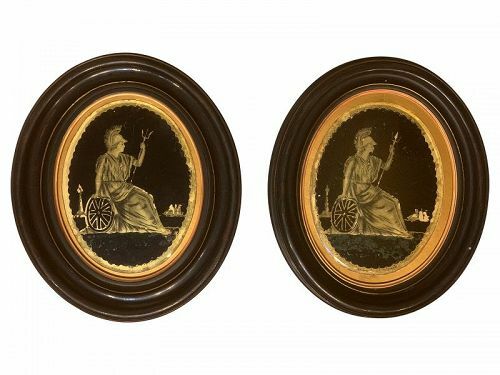 In ebonized oval walnut frames, verre eglomise panels, 13" x 11" and with classical figure. 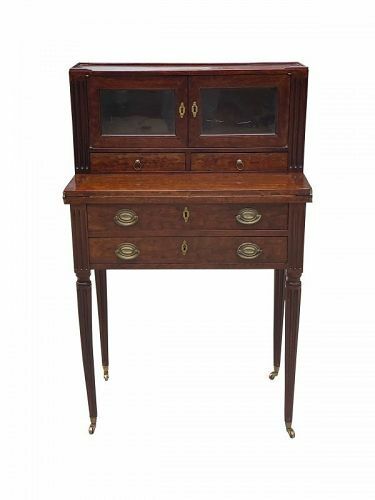 New Hampshire stand with nice turnings and figured mahogany. No breaks or repairs to the legs. 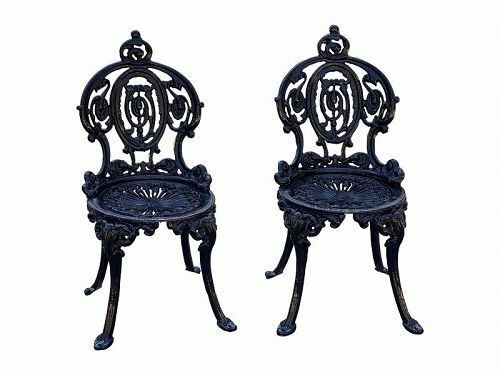 Fine Fan Back Windsor Side Chair, late 18th C.
Having scrolled ears and nice old surface. A superior chair. 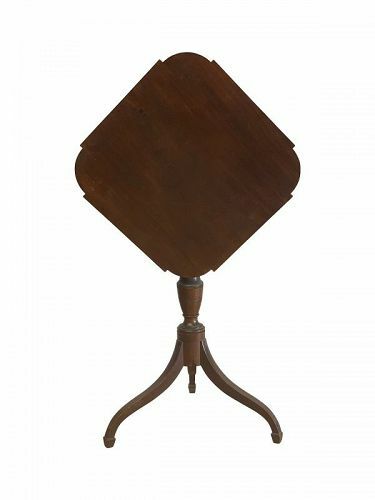 Baltimore or PA, circa 1825, having tripod base and tilting top, canted corners. 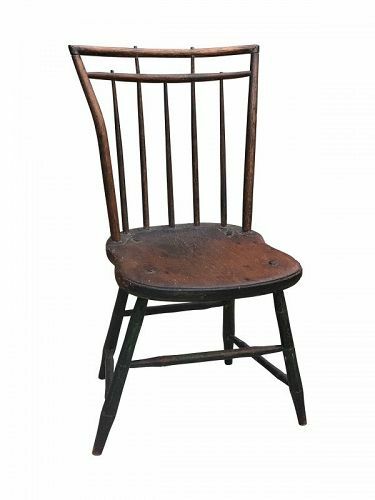 Nice windsor side chair, complete and original. Nice turnings. 24" diameter approx size. Backboard replaced and gilding restored to a high level by my gilder. 37" high and 31.5" wide. 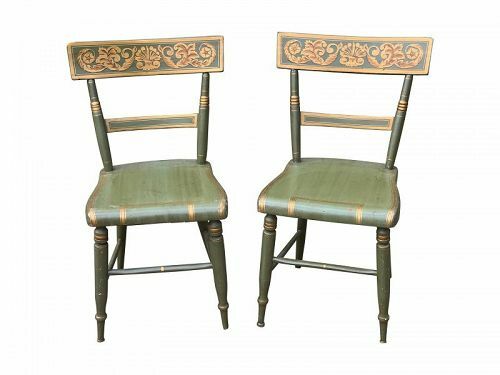 Having die stamped brass ornament around each mirror and with distressed mirror plates. 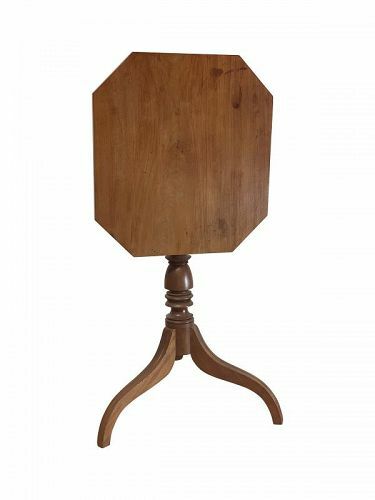 25" wide, 29" high, 127.5" deep, Having original brass and original foot facings (some blocking is replaced), the top lifts and has a false front. 20 years ago, this kind of chest was routinely re-done and made into "bachelor's chests." This great little chest still makes an ideal bedside chest for any interior.